Save SAR 0 (0%) Earn 69 Shukrans What is Shukran? Shukran is the Landmark Group’s award-winning loyalty programme in the Middle East, which allows you to earn Shukrans when you shop any of our brands. 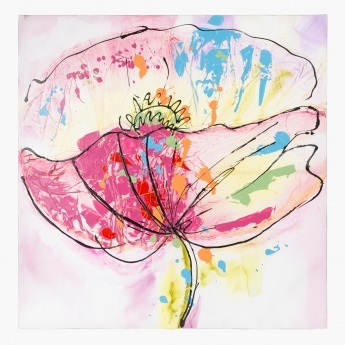 Flaunting an appealing abstract flower, this oil painting on a canvas is just what you need for your home. Sporting a square shape, it has a wooden base and fabric and the colours add a modern edge to it.